We have been hearing rumors for months that at least one model of the 2019 iPhones would feature a triple camera setup on the back. Thanks to reliable tipsters and supply chain leaks, we have also seen how the three lenses could be arranged on the rear panel of the upcoming flagship. 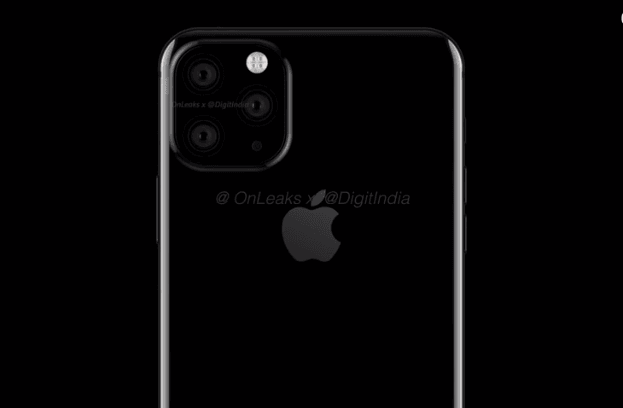 However, there was a consensus in the rumor mill that the triple camera setup would be exclusive to the larger iPhone 11 Max. Successors to the iPhone XS and iPhone XR were rumored to feature dual cameras on the back. Will all three iPhones get a triple camera setup? Citing Chinese supply chain sources, Japanese blog Mac Otakara reports that Apple will add three lenses on the back of both the iPhone 11 and iPhone 11 Max. The tech giant will also increase the screen size of the iPhone XS successor from 5.8-inch to 6.1-inch. If it turns out to be true, the iPhone 11 and iPhone XR successor would have the same screen size. The iPhone 11 and 11 Max would sport OLED screens while the iPhone XR successor would continue to use the LCD panel. Despite having the same screen size as iPhone XR successor, the iPhone 11 is expected to be slightly smaller. That’s because the OLED panel will allow Apple to reduce the bezels more than what’s possible with LCD panels. Apple might be increasing the screen size of the iPhone 11 because it would need more space to accommodate the triple camera setup, which would enhance the photography experience. It is unclear what purpose the third lens would serve. Earlier, there were speculations that Apple would add a 3D Time-of-Flight sensor for depth sensing and augmented reality. But Bloomberg claims the Time-of-Flight sensor is unlikely to debut until 2020. The publication added that the third lens would enable a larger field of view and a wider zoom range. Other reports claim the triple camera setup would consist of two 14MP lenses and a 10MP sensor. Recently, reliable tipster Steve H.McFly shared iPhone 11 schematics showing a squared camera bump. It features three lenses arranged in a triangular fashion, a microphone, and an LED flash. In another tweet, Steve H.McFly says he has received information from an ‘unconfirmed source’ that the triple camera setup won’t be exclusive to the iPhone 11 Max and iPhone 11. All three models will come with a triple camera setup on the back. Mac Otakara reports the iPhone 11 and 11 Max will also be slightly thicker than their respective predecessors. The 6.1-inch OLED iPhone 11 would be 0.15mm thicker than iPhone XS while the iPhone 11 Max is said to be 0.4mm thicker than iPhone XS Max. The increased thickness might have something to do with the fact that the upcoming iPhones will pack larger batteries than last year. Mac Otakara has reported previously that the 2019 iPhones would offer bidirectional wireless charging, allowing users to charge their AirPods cases and Apple Watch by putting them on the back of the iPhone. It means the iPhone 11 models will have to pack bigger batteries to ensure that they last a full day of normal usage while charging other devices and accessories. The upcoming models are said to ship with an 18W fast charger in the box. Though they will continue to rely on the Lightning connector, Apple will ship them with a USB-C to Lightning cable for the first time. It means you’ll no longer have to buy a separate fast charger and USB-C to Lightning cable to take advantage of fast charging. Considering the phones are still several months away, the report should be taken with a bit of skepticism. But Mac Otakara has a reliable track record when it comes to Apple leaks. It accurately leaked many features of last year’s iPad Pros and was one of the first to report on the removal of the 3.5mm headphone jack from the iPhone 7. We won’t be surprised to see triple cameras on the iPhone 11 and 11 Max. Among other things, the 2019 iPhones are expected to run the iOS 13 software and A13 processor. The iOS 13 would bring a system-wide Dark Mode for more comfortable night-time viewing and many iPad-specific enhancements such as a revamped Files app, a new Home screen, and the ability to tab through various pages of an app like pages in a web browser.